Provenance – purchased from the artist in 1933 by the Court of the Kingdom of Yugoslavia. Provenance – purchased through the Cabinet of the President of the Republic from Branko Janosevic in 1954. Provenance – purchased from the artist by the Court of the Kingdom of Yugoslavia. Although these are three completely different portrait busts, they reflect Mestrovic’s recognisable visual expression founded on the leading concept of Yugoslavism. The bronze self-portrait follows the procedure applied in epic figures of the Vidovdan temple. Strong movement, conveyed in a turn of the head, deep modelling, contrasts of light and shadow, do not just emphasise the characteristics of the Dinaric race but also mythologise the figures. In modelling these portrait sculptures the artist moved between myth and history and endeavoured to place his own artistic image within that timeless space. 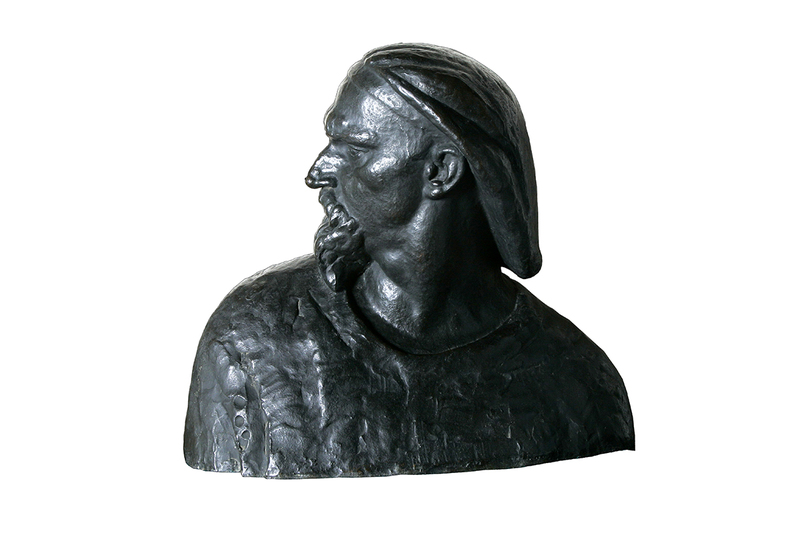 The representation of Njegos was achieved by his proven means of expression: the turn of the head to-wards the inner side of the right shoulder, the sombre expression of a deeply worried person. 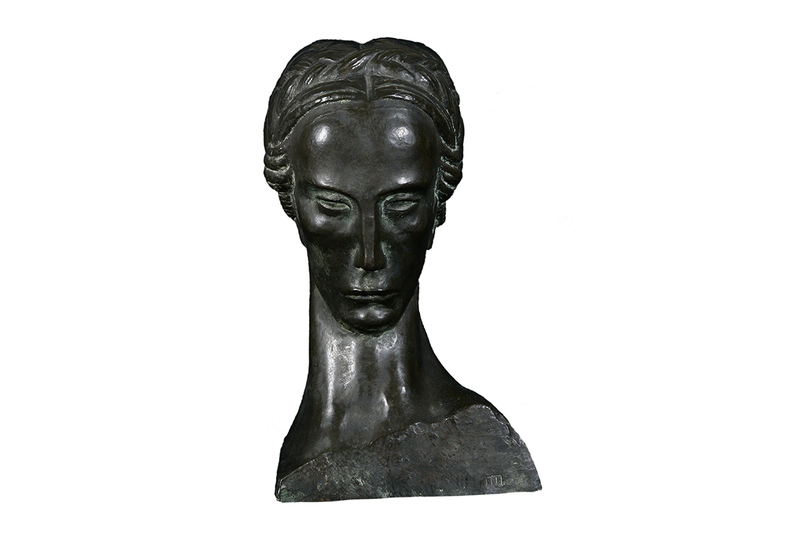 In the same manner Mestrovic modelled the head of the girl with braids.